The razor sharp Rick Hinderer Gen 4 Model XM-18 3.5-Inch FATTY Edition knife has the compact design and powerful cutting ability heavy users need. 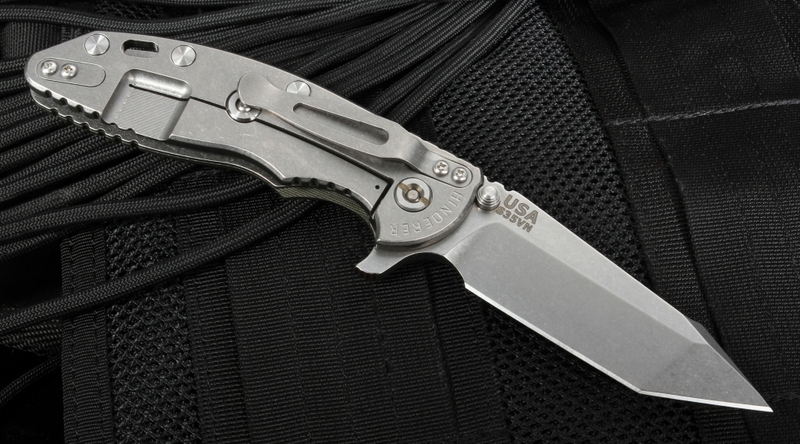 The XM-18 series of tactical folding knives is famous among enthusiasts around the world for its no-nonsense design. FATTY Hinderer knives have a thicker blade than the regular 3.5-inch model, producing the toughness of a larger knife while retaining a compact size. Every XM-18 FATTY flipper is made in Ohio using the latest CAD design and CNC machine technology for practical and affordable first responder use. Every Hinderer FATTY Harpoon Black and Green knife features American-made CPM S35VN stainless steel with a durable and attractive stonewashed finish. This fine grain premium steel with a Rockwell Hardness of 60-61 holds a sharp edge and is very resistant to wear and corrosion. And at 0.185 inches, this 3.5-inch blade has the same thickness as XM-24 4-inch blades, so you'll always have the power and durability for difficult jobs. The XM-18 Gen 4 Folder features a Tanto blade with the new Harpoon grind, giving the knife two separate edges for equal effectiveness chopping and slicing. Jimping on the thumb rest of the blade and handle blade spine gives users a secure grip. 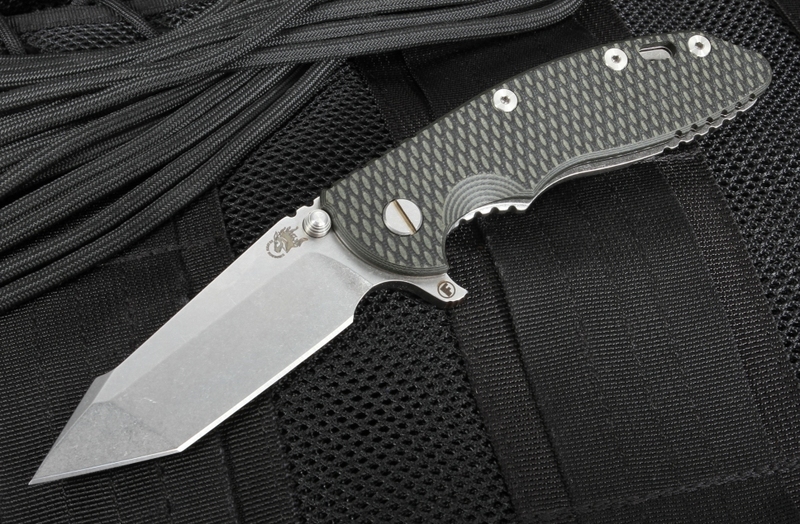 The handle of the FATTY XM-18 is made of textured black and green G-10 composite and stonewashed titanium for a comfortable feel. 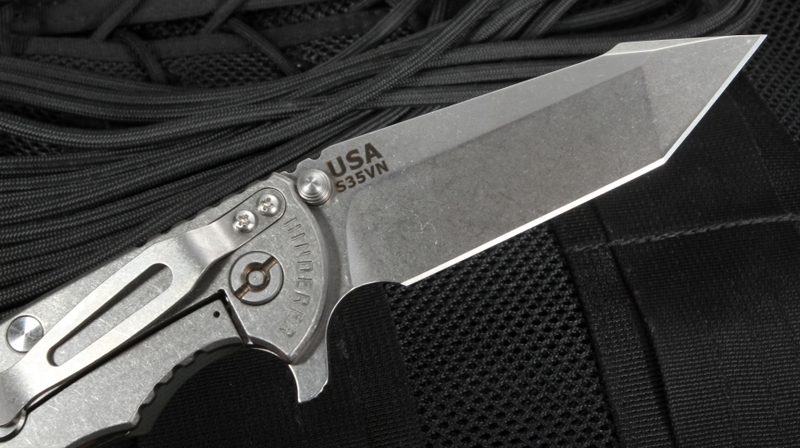 This Hinderer folding knife opens with dual thumb studs as well as a flipper for easy right or left hand operation. Additionally, the flipper serves as an index finger guard in the open position. 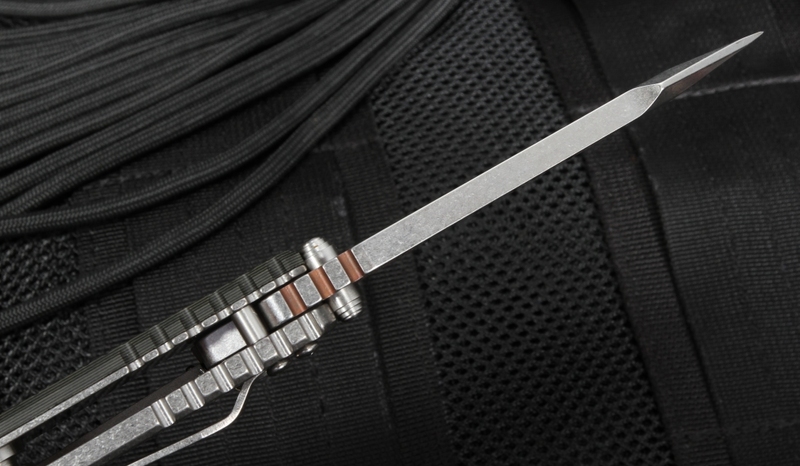 The XM 3.5 Harpoon Tanto has a lanyard hole in the handle for carrying while the titanium pocket clip can be mounted blade tip-up or tip-down. A solid frame lock design keeps the blade open when working. With its long-lasting design and smooth opening and closing, XM-18 FATTY Edition Harpoon tactical folding knife from Rick Hinderer is a great heavy-use tool for outdoorsmen and first responders. KnifeArt is proud to carry this fine knife at the best possible price with free same-day shipping. Shop worry-free with our 100 percent satisfaction guarantee.